Corda argues that the essence of blockchain is “ensuring that data held by different actors is, and remains, consistent as operations are applied to update that data, and that this forms the foundation on which reliable transactions (txs) are built.” This view allows Corda to pursue the advantages of a distributed ledger technology (DLT) without utilizing a blockchain. 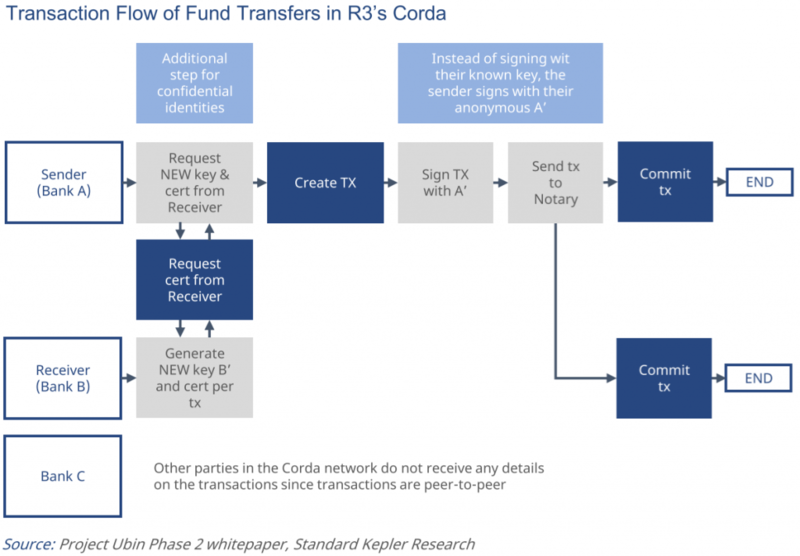 “[Corda] is heavily inspired by blockchain systems, but without the design choices that make traditional blockchains inappropriate for many financial txs.” Corda defines its ledger as a set of immutable state objects. This ledger acts as a reliable single source for the Corda platform, yet it does not make txs nor entries on this ledger globally visible. Cryptographic hashes are instead utilized to identify parties and data and ensure that only parties that are part of a agreement can see relevant ledger details. 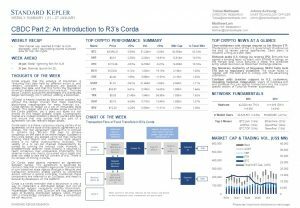 Corda seeks to achieve consensus among parties of an agreement on the state of that specific agreement as it evolves. This “per agreement” approach is in contrast to systems (e.g. Bitcoin) that seek to achieve consensus on the state of an entire ledger. Updates to the Corda ledger are applied using txs that consume existing state objects and create new state objects (there is no native cryptocurrency involved). The validity of a tx can be checked independently by parties by running the contract code. However, a predetermined observer node is required to reach consensus over uniqueness. Importantly, this observer node only checks consumed input states, and does not need to see the full content of a tx. There is no concept of mining in Corda. On Corda, state objects represent an agreement between parties. This agreement is governed by contract code that is linked to legal prose. Transactions in turn transition state objects through a lifecycle, and transaction protocols enable parties to coordinate actions without a central controller. Combined, these components are referred to as CorDapps, and need to be built by developers on the platform. Corda is a timely reminder that a blockchain is only a way to implement a distributed ledger, but not all distributed ledgers necessarily employ blockchains. Hyperledger Fabric and Quorum are two other ways of building distributed ledgers. CBDC Project Ubin 2 interestingly compares all three, a comparison we will return to.